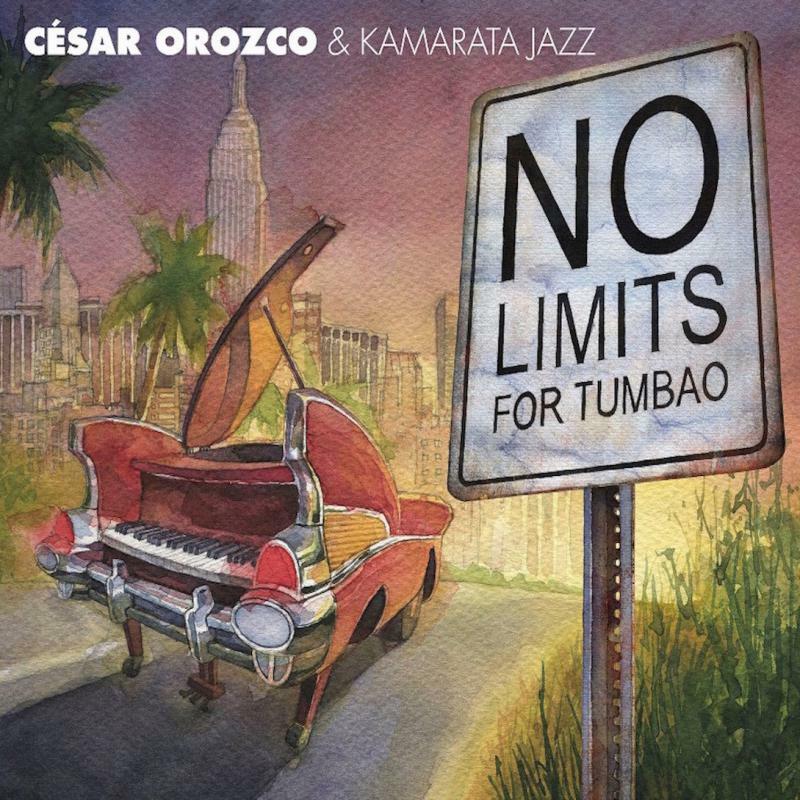 Cesar Orozco & Kamarata Jazz- New Release "No Limits For Tumbao"
It could be said that “Tumbao” is for Latin music what the swing is for Jazz. Do you know the Duke Ellington tune: “It don’t mean a thing if it ain’t got that swing”? So, how about “if it ain’t got that tumbao”? I hope you’ve got the idea now. "Latin jazz has so many different rhythms that you need an encyclopedia just to keep up! However you certainly don’t need an encyclopedia to compel you to get into the music of Cesar Orozco & Kamarata! With No Limits For Tumbao, the Alfi Records recording artists achieve their goal of transmitting emotions through their music via 10 great songs produced and arranged by Cesar Orozco and co-produced by Rodner Padilla. Orozco also wrote six of the ten songs on the recording and plays the acoustic piano, keyboards, Fender Rhodes and provided backing vocals! You might say he was quite busy making this recording happen! Alongside the core unit of Cesar Orozco, Rodner Padilla on bass, Francisco Vielma on percussion and Euro Zambrano on drums, No Limits For Tumbao features guest musicians Paquito D’Rivera, Pedrito Martinez, Gary Thomas, Yosvany Terry, Luisito Quintero, Vladimir Quintero, Linda Briceno, Pablo Bencid and Zamira Briceno. Together they make these tracks come alive with vigor, energy and the passionate rhythms of Latin jazz and show that they can hold their own with just about any other Latin jazz ensemble. Opening with the title track, this album adds new ingredients to Orozco’s mix of Venezuelan, Cuban and jazz music. “No Limits For Tumbao” is a Latinization of jazz’s swing style and has several rhythms to add additional flavorings. The tumbao rhythm is not as mainstream as salsa or swing for that matter, but this rhythm can attest to being a greater part of the whole Latin jazz scene. Orozco makes his way further into the elements of mainstream American jazz with a song written by Pedro Speck titled “La Rumba Estate Buena (Changui).” This song is permeated with changüi rhythms (a forerunner of Cuban Son) and incites you to tap your feet to its happy feeling. “Jorozco” (certainly a play on Cesar’s surname!) is his first attempt at composing a joropo. This lovely song exudes the Venezuelan rhythm within a pure jazz framework that spotlights the amazing talent of soprano saxophonist Paquito D’Rivera and the Venezuelan maracas playing of Manuel Rangel. The recording also features a Venezuelan Merenque with a Cuban Montano, and a Funk styled song titled “Faith” that is characterized by the Afro-Venezuelan drumming of Francisco Vielma. With the boom in Latin jazz and its main rhythmic engines, by listening to No Limits For Tumbao, mainstream America is once more getting some exposure to what are classics in Latin culture."